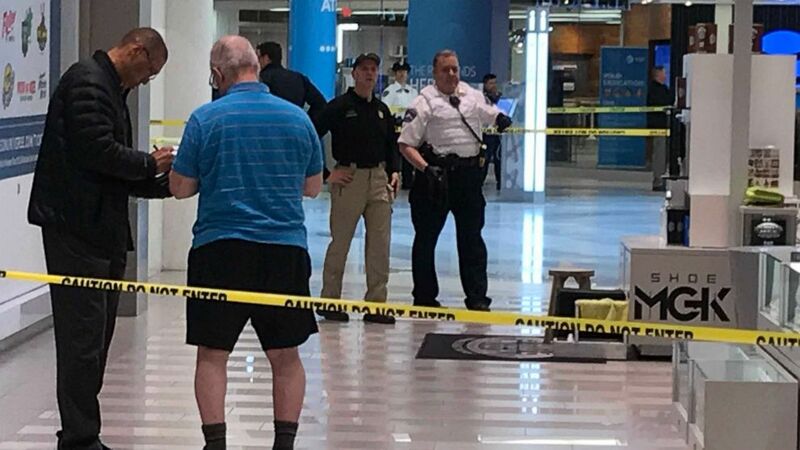 A 5-year-old boy who was thrown from a third-floor balcony at the Mall of America near Minneapolis remains hospitalized with serious injuries, authorities said Saturday. A suspect was soon found inside the mall's transit station and was taken into custody. "At this time, we do not believe that there is a relationship between the child or the family of the child", Potts said, emphasizing that police believe this to be an "isolated incident". He also refused to give his name to police and resisted arrest. Bloomington police Chief Jeffrey Potts said during a news conference that the boy fell almost 40 feet after a man who apparently didn't know the boy or his family threw him off the balcony Friday. "The child has been transported to the hospital and has been receiving care". During a press conference Saturday, Chief Potts said a witness tried to stop the suspect from running away. According to Minnesota court records, Aranda has been convicted of interfering with a police officer, trespassing and fifth-degree assault - all misdemeanors - and felony first-degree damage to property. Tina Hailey told the publication she was rounding the corner when she heard a woman screaming, "Oh my god, pray for my son". "Of course, our immediate concern is for the child", Potts said, adding the mother is with the child. Potts said he didn't know whether the victim's family is from Minnesota or visiting from elsewhere.